We’re just getting started, and have even bigger plans for future developments! Buy another year of updates and support for your version or upgrade to the next edition of SONAR to continue receiving new SONAR features and workflow-enhancing additions like these. 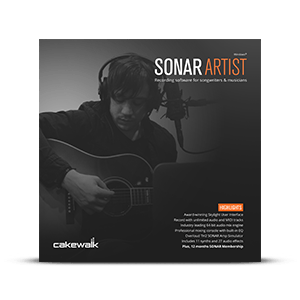 Upgrade to SONAR Artist which includes new features, enhancements, content, and fixes. Log in to your Cakewalk Account to see your personalized price. 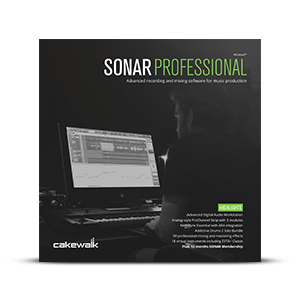 Upgrade to SONAR Professional which includes new features, enhancements, content, and fixes. 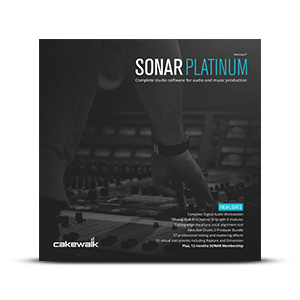 Upgrade to SONAR Platinum which includes new features, enhancements, content, and fixes. You can lock in one year of additional Rolling Updates at any time. If your Rolling Update plan has lapsed, you will automatically get an additional year starting on the date of your purchase. That will bring you up-to-date on all the features immediately (even the ones you missed). If you are still receiving Rolling Updates but want to lock in the pricing, you can do it today. Purchase an upfront renewal and we’ll extend your plan for an additional year once your current plan expires (ex. if your plan expires October 31, 2015, you’ll get an additional year starting Nov. 1, 2015). Purchase an upfront upgrade and we'll issue 12 months of membership from the purchase date. Purchase monthly and rent to own SONAR after completing 12 consecutive payments. Continue receiving updates at your locked in price as long as your monthly payments are active. Cancel at any time (12 consecutive payments are required for ownership status). Visit the My Account Page to view your current Rolling Updates plan including end dates.